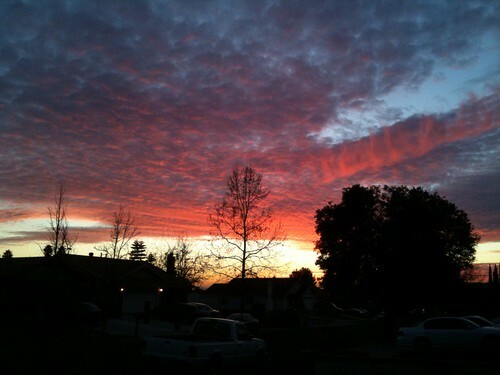 What a dramatic night sunset! Today’s weather was just lovely. I was especially happy to see the sun after all the storms and flooding we had in the last week. I was inspired to work on my flower garden today, so I headed out to Lowe’s. 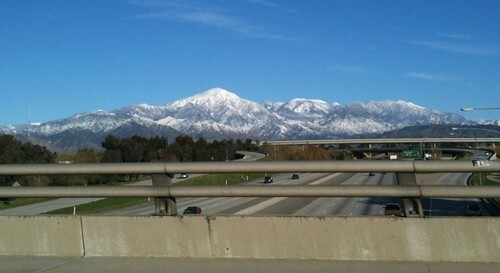 On the way to the store, I saw these lovely snow-capped mountains! 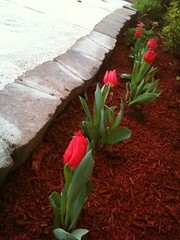 After searching around the garden section, Albert and I decided to buy the pretty red velvet tulips. We spent the late afternoon cleaning out the front yard and removing the old plants. Now I have pretty blooming tulips to greet me every morning. I hope they grow big and bloom a lot this spring!